I got a good deal of honey this past holiday season. Which means it’s time to ramp up production. How long it will last, who knows but at least my carboys will be full once more. This is a mead that has taken a few of my previous experiences and combines them into one hopefully well balanced exceptional mead. 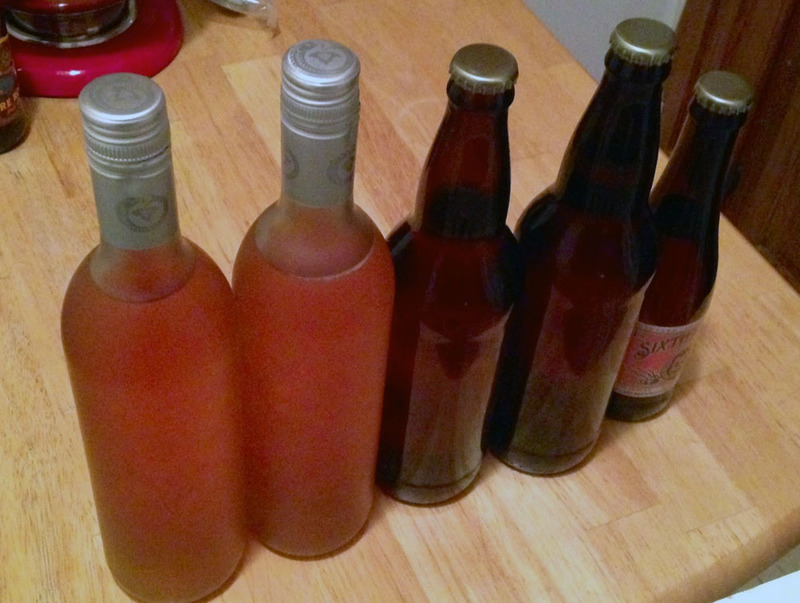 I’ll be carbonating this mead. Hopefully the unfermentable sugars created from cooking the honey will provide a hint of extra sweetness. 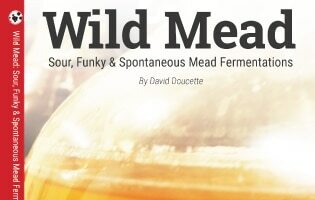 (A problem that occurs to mead makers who want to carbonate without a keg is that the mead must be dry because of bottle bomb risk). I boiled the honey following the process in my bochet post seen Here . I didn’t cook it for quite as long as the original. I stopped when the color was a more medium brown than a light airy amber. The main indicator I used was the aroma coming off the boiling honey. I took it off the heat right when it started to smell like roasted nuts and vanilla. You are going to want to cool it quickly when you reach that, because once you are smelling it, you are starting to lose those aromas. Not to say if you cant cool it quick enough it will be “bad”, but it will however be a different character than what you turned the burner off for. After cooling and reincorporating and honey caramel back into the must (with a whisk for bonus aeration). 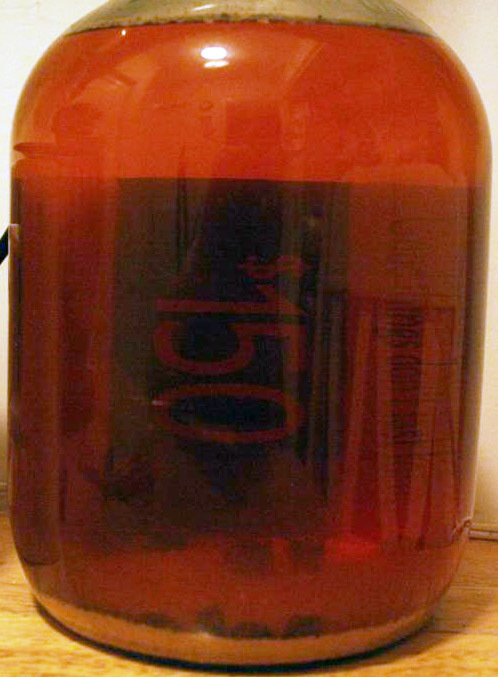 I added to the carboy and pitched a full dose of nutrients as well as the yeast. Fermentation has begun. As with my last bochet, foam production is a good deal lower than with other meads. Fermentation continues, I’ve aerated a few times between pitch and now. I’ll check the gravity when airlock activity stops. Taste test: Wow! Big vanilla notes, and I haven’t even added the bean yet! However the body is a tad thin. Carbing should help with that. But I may even go as far as adding a bit of maltodextrin. Added the 1 vanilla bean (chopped) to the fermenter. One thing I saw which was really cool was: The beans sunk right away, but there was enough CO2 still in the liquid that it attached to the pieces, and lifted them to the surface, then the bean would sink again and repeat. So for a few hours it was chunks of vanilla beans shuttling CO2 up and down, out of solution. Taste Update: Vanilla holds a nice balance with the caramelized honey notes. 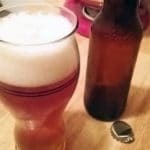 I was originally planing on carbonating this batch, but I think I may back-sweeten and bottle this one. That or Add a bottle of Trader Joe’s Tart Cherries and let the yeast ferment those. This batch currently has some incredible potential that I don’t think it can reach on its own at this point. No fussels to report either. Bottled. Really light golden brown color. Those are frosted glass wine bottles, the wine is incredibly clear. I got 2 Wine bottles, 2 bombers and one 12oz bottle.